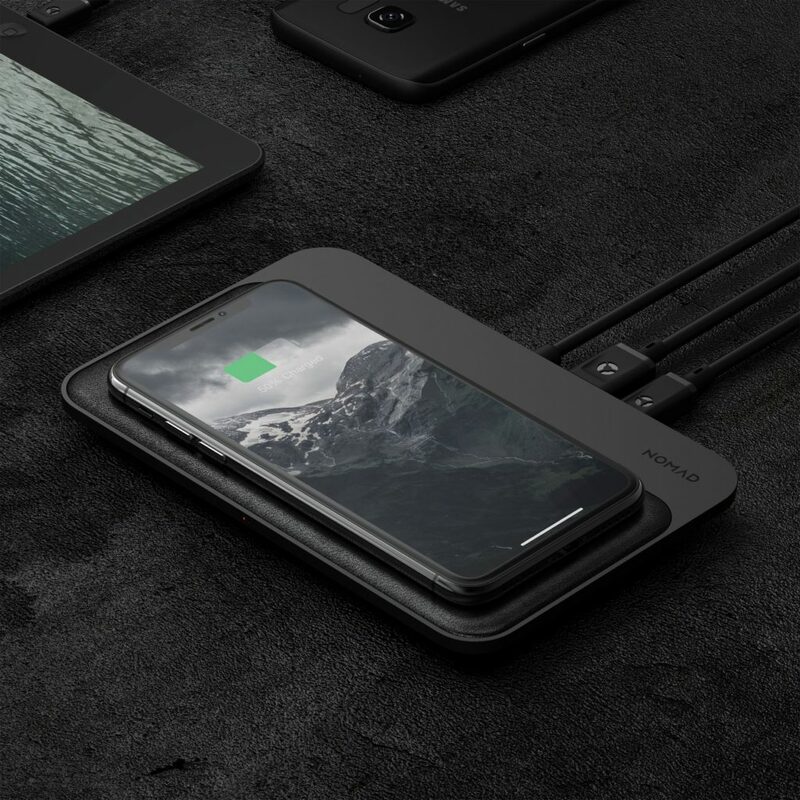 The Nomad Base Station is all about convenience, packing 3 charging coils enabling you to charge two devices at the same time. This also packs a USB-A and USB-C port. Unpacking was simple, the base station itself which is slim and made from leather material. 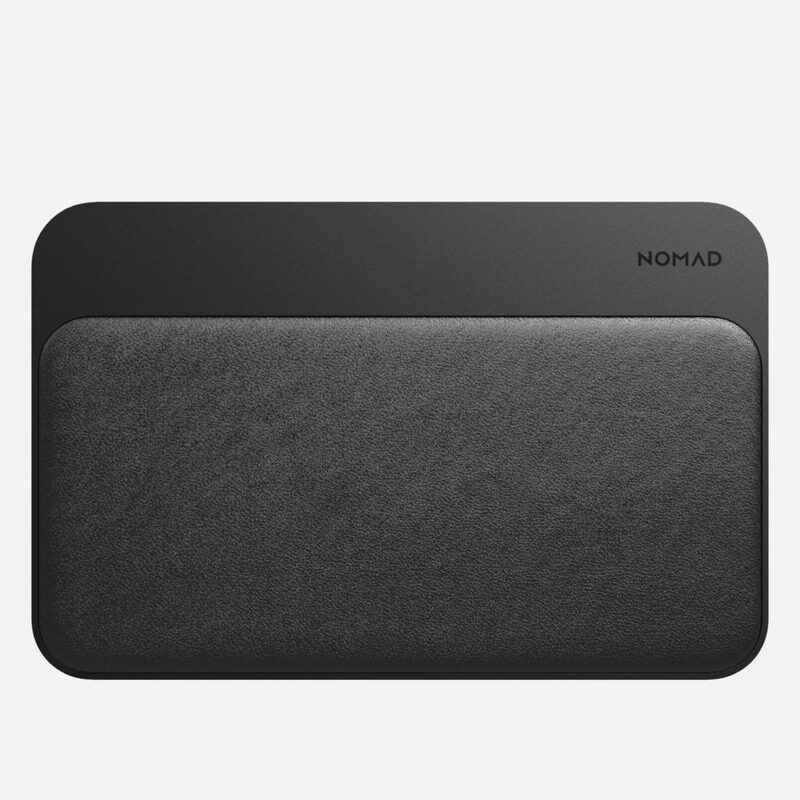 There is also a power cable and various plugs for the power cable, this allows Nomad to ship one box out to multiple areas, whilst allowing me (the user) to take this around the world and be able to charge anywhere. There are two rubber feet along the bottom to keep the Nomad from moving around. 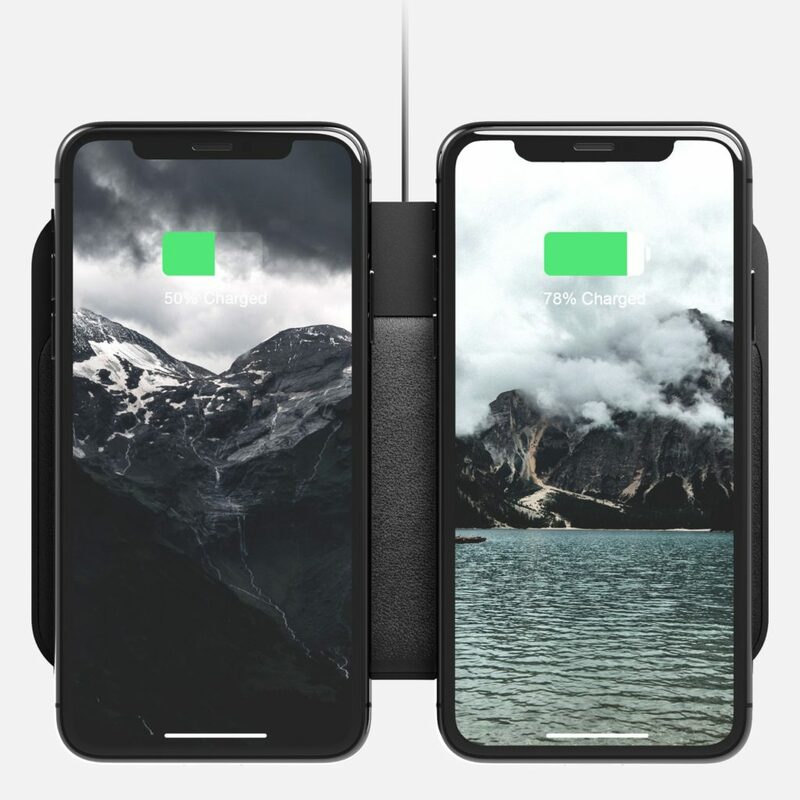 The top is made from aluminium and the charging section itself is made from leather. The power plug is quite large, and it did mean I had to move my plugged in products around a bit to fit it in. The USB-C port pumps out 18 watts of power and power delivery, 7.5 watts of power for the USB-A port. The aluminium feels very plasticy, which I was surprised about. I saw there was no treatment on the leather, so I feel this may wear down over time. The 3 coils, each support 10 watts of power. Allowing me to do two phones at the same time, my iPhone and air pods, or just one phone lengthways. There is also an ambient light sensor, this allows the charging LEDs on the front to dim automatically when it gets dark, which was a nice tough. When in full use, I found there were up to 3 cables coming out the back, which can be a bit untidy. Though this is now my main charging station for the home, allowing me to charge 4 devices at the same time. I tend to use it for my S9+ and plug my Ticwatch charging unit in. This is an ultra-rugged USB-C cable with full 100W power transfer and ultra-fast 10gbps USB 3.1 Gen 2 date. It’s braided ballistic nylon which is to avoid abrasion and tearing. Reinforced RF shielding for fast data sync. 2x thick protective PVC jacket. Extra thick wire gauge and a robust polyamide core. 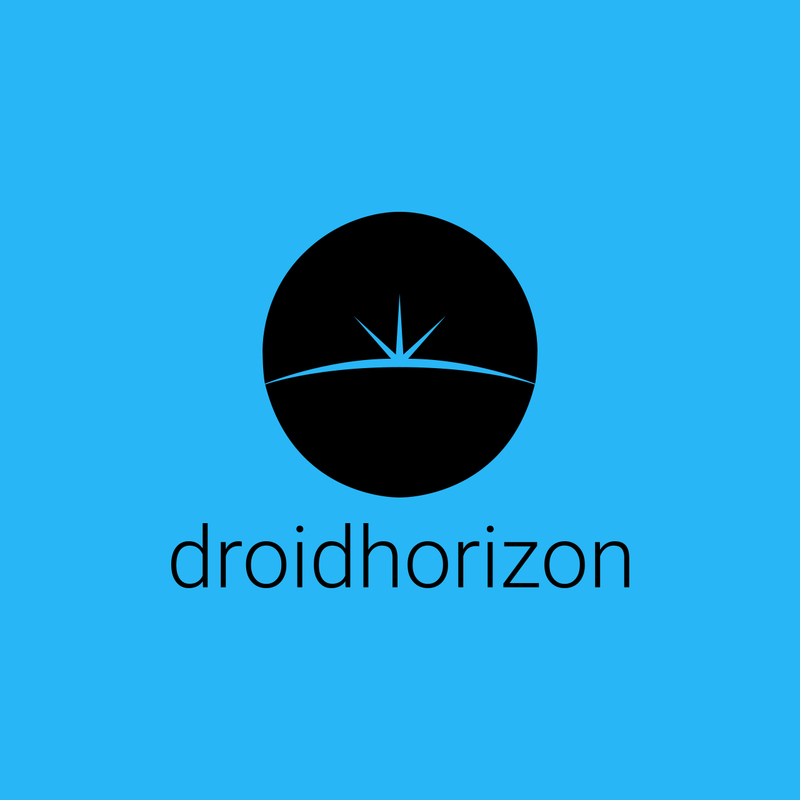 Designed for ultra-fast data and charging application. This cable is very thick to handle the extreme charging and data speeds.